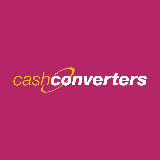 What is Cash Converters about ? Cash Converters operates as retailers of second-hand goods. The outlets have an area for shoppers, and another section to enable customers to sell items that they no longer need for CASH - in a quick, safe and convenient way where cash is issued immediately once the price has been agreed. Cash Converters sells and buys from customers an extensive variety of homeware and personal lifestyle articles such as electrical appliances, crockery, dinnerware, utensils, decorative objects, TVs, hifi systems and speakers, computers, jewellery, watches, sports equipment (golf, fishing, gym, bicycles, rackets, balls, etc), luggage and bags, smartphones, cameras, musical instruments, collectibles, etc. What began in 1984 as a single store retail operation in Perth, Western Australia, has grown enormously with representation in 21 countries worldwide and to a network of over 700 stores. The first Cash Converters outlet in Asia opened in Singapore at Tampines in January 1999. There are currently 6 outlets in Singapore. 6 of the outlets are conveniently located in popular heartlands in Toa Payoh, Jurong, Tampines, AngMoKio, China Town and Kallang. In 2001, Cash Converters Malaysia opened the first outlet at Taman SEA (relocated to Damansara Utama in 2015), followed by Ampang Point, Bukit Tinggi Klang, Sunway Mentari, Shah Alam Sec 9, Setapak, then Sg. Besi. These 7 outlets are all managed and owned by Arus Jimat Sdn Bhd.